Like I said, today was the day for a race. Earlier in the week I did not think so. I had a ton of congestion from allergies and generally felt like crap most of the week. But by Friday, I felt like I should do the race. 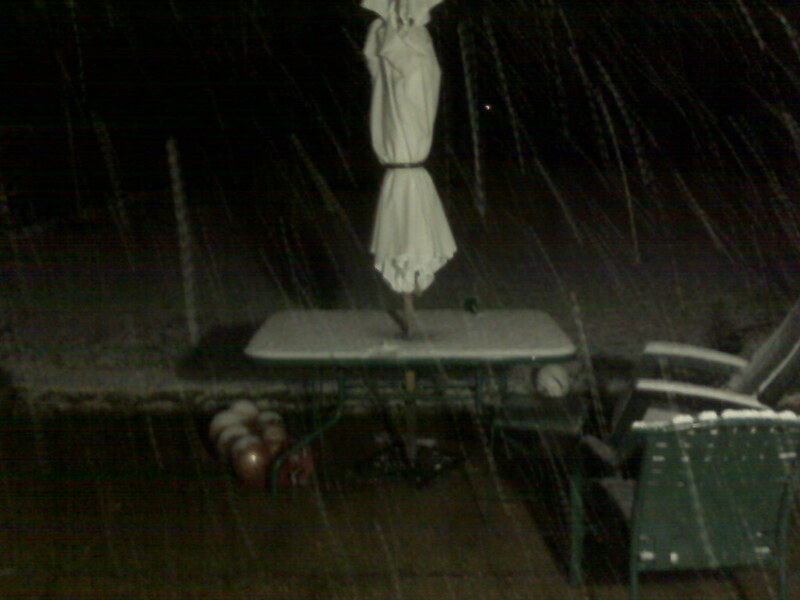 The weather prediction was for reasonable weather. So I signed up. This race was a 275 yard swim, a 14 mile bike and a 3.7 mile run. I was seeded third in the swim and was actually pretty nervous about that. But it was not bad, one very young lady passed the guy in back of me and the nailed me as well. I was the fourth person out of the water. My first transition sucked, I watched as two or three competitors got the jump on me. But I promptly got back one spot (the girl that passed me in the pool), and then a few miles later I got a second key spot back from a guy in my age group. I managed to hold that for the rest of the bike ride. The polar reports: 14.6 miles, ave speed of 20.8, ave cadence of 91, and 42 minutes ride time. Not bad. The second transition could have also been improved, but I was out of there before the other guy in my age group, who maintained contact during the ride. As soon as started the run both calves started cramping. I kept focus and kept running and then my back also started to cramp. I though I was doomed. But after a mile or so, both my legs and back both relaxed and I managed to push the run. The run was three loops on this one section of road. There were three guys way in front of me and I had a pretty good lead on those behind me including the guy from age group. It was a pretty solid run but man it hurt. All of that was good enough for fifth place overall and first in my age group. Not too bad for a year since my last triathlon! Looking over the results, my transition times need LOTS of improvement - I left a minute and half on the table there. Apparently I was 7th in the swim, 7th in the bike and 4th in the run. Update March 31 - Added links and comments on the official results. Marissa reported that today they did the 800 today. She came in first in 3:09. And according to Marissa, that was 20 seconds ahead of everyone else. Yesterday I made a run to pick up some supplies at the beer store. It was a good thing that I have previously stocked up on hops as there appears to be shortage. At the store they were in fact rationing the hops! For Valentines Day Fran gave me a new 58 quart Stainless brew kettle. Today I put that sucker to the test. I used too much water relative to the standard recipe. As a result the specific gravity will be lower and therefore this batch will be a little lighter than usual. Update Apr 12 - SG: 1.012 ~4.5% Alc. In the bottle. Feeling stronger this week with my interval runs. Mary tried to kill me with the 3x75 on 1;15 swim sets, but even then I am feeling stronger with my swimming. On Saturday and Sunday, the wind was blowing 30 miles an hour which made riding the bike very challenging. I did some hill work on Saturday and then on Sunday I rode down and around White Rock Lake. The wind was out of the east and I never seemed to have it to my back. The last 10 miles was straight into the wind and very difficult. I am glad that is over. Monday March 10 - Timberglen Park Intervals 8x2:00(2:00), Max HR 190, 9 miles run. 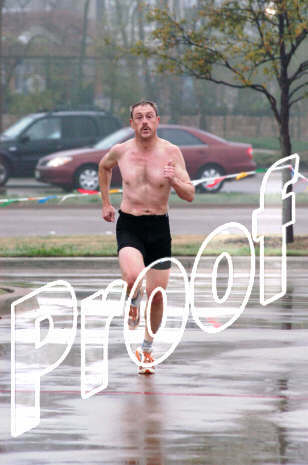 Wednesday March 12 - 8 mile run from Lifetime Dallas, 1:01:30. Thursday March 13 - Timberglen Park Intervals 10x:70(:80), Max HR 180, 8.75 Miles run. Friday March 14 - 500WU, 500pull, 2x(250, 250 pull) on 4, 2x(2x125, on 2:30, 2x125pull on 2:15) - 3000 Swim Solo. 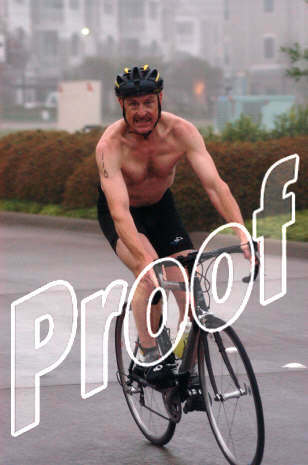 Saturday March 15 - 4 loops of the Sachse Hills, 17.1 Ave Speed, 87 Cad, 1:46 ride time - 30.3 Miles Bike. Sunday March 16 - White Rock Loop (Terry to LBJ), Ave Speed 16.0; CAD 81, Ride time 3:21 - 53.9 Miles Bike. A typical weekend around here involves more soccer than most people do in year. Saturday morning Marissa's team played their game a man short. Marissa who typically plays midfielder or forward, instead played defender. According to Fran she did a great job, fearlessly tacking forwards three times her size. Even a man down they won 3-0. Nice shutout for the defenders. While Fran and Marissa were at that game, Logan and Reagan's United team was playing across town. A bunch of the kids on Reagan's Sting Team, play on this United team. They decided to play in the next older age group this year, and they asked me if I knew any other players who might be intested in playing with them. And that's how I talked Logan into playing with Reagan. This is a team of second graders, with one fourth grader, playing in the third grade league. (Logan is technically a third grade soccer player based on her birth day even though she is in fourth grade.) Anyway, they won their game 4-0 and Logan had a very nice assist with a play on the right endline into the center. Today Reagan's Sting Team played a very tough SDL match against a Dallas Texan team coached by Steve Nichols. Reagan's team was down early in the match but came back in the second half to win 6-5. Reagan scored a beautiful goal patiently waiting for the ball in front of the net and then taking the shot with her right foot (her weak side) for the goal. After the game Coach Don gave her a Taz award for hustle! After Reagan's game we drove across town for Logan's Sting game in PAL. When we got the field a couple of players from Reagan's team were there as well. Apparently we were going to a little short handed for this game and Don invited these girls to play with Logan's group. Logan played great soccer and scored the second and winning goal in a 4-1 game. Post game Coach Don gave Logan a Taz award as well! So the total for the weekend was: four wins, two goals, two Taz awards and one assist. Not too shabby! This is Elaine’s 12th season performing in the showcases and in this show, she reprised favorite songs from each of her previous showcases. Having heard Elaine through the years, it is nice to see such a wonderful arc of progress in her work. She is at ease with herself, and appeared to really enjoy herself, which only made the audience enjoy her performance even more. Tuesday Marissa reported that she ran the 200 in 33 flat. No word on how that compared to the other cast of characters. There was no track scheduled yesterday. There is track today, after which Marissa also has a soccer game! Today Marissa tried out for the Murphy Middle School 7th grade Track team. She ran the 400 in 1:25 good for second out of 16. She also ran the 100 in 16.12. Can you see me smiling here? I am starting to feel pretty strong, so I was checking out the race calendar. It turns out that there is a nice Sprint Tri on Sunday March 30. The soccer gods have blessed this morning as free time. If that continues to hold (no make up games scheduled that morning), then this may be the one. Its basically the same course that I completely screwed up last February. This time it will be standard format rather than reverse format. The bike is the same course, the run is a little different than last year - with a double out and back thing. The swim is shorter. Anyway, like I said, I am feeling pretty strong. The only downside, is that they want $80 for this event. That is freaking robbery! On March First Reagan spotted a Martin Scout on our house. The first one of the season. Yippee! The true sign of spring. Considering the short month and that I took two days off, the volume compares well to January. With in fact more bike! But compared to February 2007, I am ahead in every category. All of my hills this year were faster than last year and also faster than 2005, a good sign. I started January of 2007 at 178 pounds and by July I had gotten below 160. But after the knee surgery I had put on five pounds. And when I got back from Aix in January I hit 170! As I closed out February I had managed to get back to a solid 162. This week was still a bit stressful. Somehow I managed to keep my workouts. And on my hill workouts we add a sprint up the hill this week. Last year I did these two in 50.5 and 51.4. This year I was 50.0 and 46.4 which was also faster than 2005. Nice! Monday Feb 18 - Flagpole Hill - 4 hills plus 4x:30, 2x:60, 16x:08, Last hill was 50.0 - 8 miles running. Wednesday Feb 20 - 65 Min Run, 8 miles. Thursday Feb 21 - 4 hills plus 4x:30, 2x:60, 16x:08, Last Hill 46.4 - 8 miles running. Friday Feb 22 - 500WU, 300, 2x150 on 4, 4x100 on 2; 300 pull, 2x150 on 4, 4x100 on 2; 200 pull; 4x50 on 1; 100 - 3000. Saturday Feb 16 - Nothing - Fran was in Houston with Reagan - Marissa and Logan were testing the limits of Dad. Sunday Feb 17 - 16.6 miles easy bike at the crit course with Marissa and Logan in the car 69 minutes.